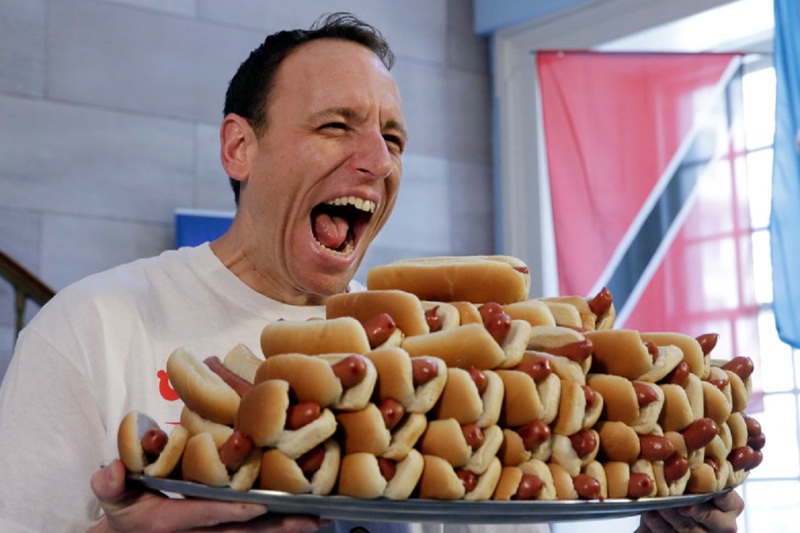 Joey Chestnut of San Jose, California currently holds the title of World Champion after eating 74 hot dogs and buns in ten minutes on July 4, 2018. Do you have what it takes? Check out information for this event, as well as other “professional eating” competitions here!